Eastlands Most Beloved (EMB) Records gospel singer, Bahati, joins forces with WCB Wasafi Records soldier Mbosso for heart-touching rendition dubbed “Futa” which is accompanied by an equally stirring music video. The sensational act, Bahati, whose real name is Kevin Mbuvi, has recently been attracting a lot of attention with the insanely high quality of the contents he’s been pushing out lately. Recent records such as “Ten Over Ten”, “Nasubiri Nini” on which he featured Tanzanian Bongo Flava sensation, Aslay, as well as his collaboration with Rayvanny on “Nikumbushe” and, “Ching Ching” which is still very much trending. 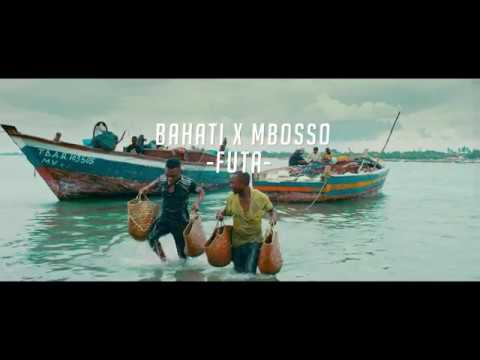 It is evident that Bahati is a source of inspiration to a lot of his fans in Kenya and beyond with his style of presentation, his candid and relatable lyrics and his composure, all of which he combines together as he collaborates with Mbosso on “Futa”. And Mbosso, who opened the song with his smooth dazzling voice sings in an appealing form like we have seen before on “Nimekuzoea”, “Picha Yake”, “Alele” and the mesmerising “Nadakezwa”. The duo tells us that things might be hard now, don’t stay down; get up, this isn’t the end of the way. And they perfectly drive home the point of the Shallzbaro and Lizer Classic-produced song with an apt music video. Tune in and be inspired. Simply stream and share your thoughts with us in the comment section below.